WOW The Winter Sounder is not only a terrific film, It�s by far one of the best sequels ever made. Captain America: The Winter Soldier is absolutely incredible. Best action in a Marvel solo movie and perhaps the best of them all. Loved the conspiracy angle as well. Very smart and well acted. Definitely one of the top Marvel series films. This one has a great story, acting, solid drama and excellent action. Really no complaints at all. In my Top 3 for sure. When Nick Fury discovers that S.H.I.E.L.D. has been infiltrated to the highest level by Hydra, he turns to the only man he can trust to re-establish the integrity of the organisation. I dont understand the praise for this movie. i found it really boring predictable and silly. i dont undersatnd why movies like the expendibles get put down yet this movie is praised when the only real difference is the superhero angle., This is movie is nowhere near as fun and hasn't got the actors and a is lot sillier. but i guess if your a fan of the whole super hero universe then it doesn't matter. to me i was so bored , i didn't like the characters and the direction/camera work . While there is no shortage of spectacle with Captain America: Winter Soldier - compared to the rest of the the Marvel films, it seems much more grounded. The story - a mix of modern-day government interference (S.H.I.E.L.D. is the like the NSA kicked up to 11 in the movie) but still leading back the Captain's history - that is WWII and Hydra. Yes, there is action, but the story is a lot deeper than I would have expected from a super hero movie and that's a step in the right direction. No posts have been made on this movie yet. 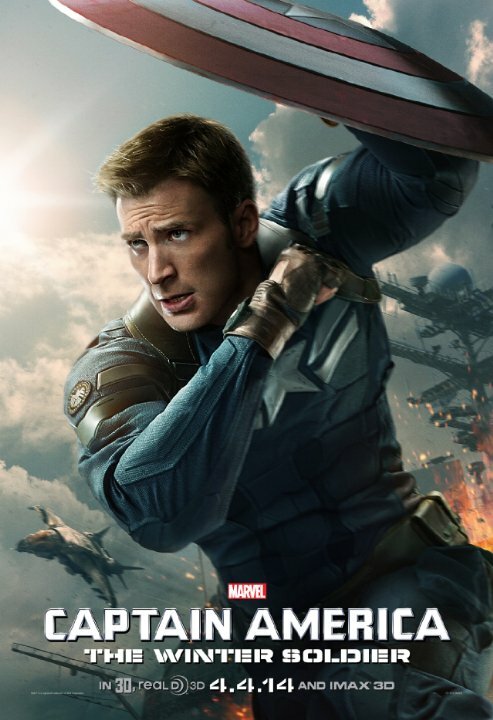 Be the first to start talking about Captain America: The Winter Soldier!